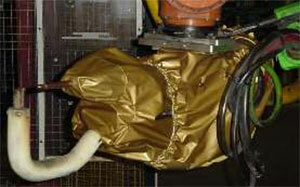 Optimal protection against slag and oil steam which damaging the tongs. 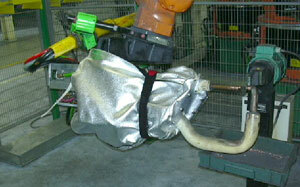 Lengthens the expected life span of the welding tongs, because of less filth on the tongs. 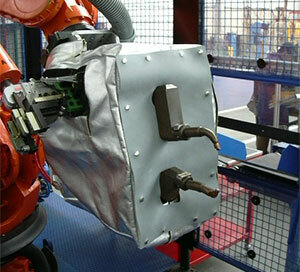 Automatic welding line maintenance is shorter and therefore better productivity. Shorter waiting time because there is no cleaning needed. 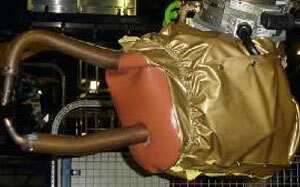 Kevlar fabric with an external aluminium non-electric conducting coating. We design jackets under measure!